hahaha, Diva, i'll review some GG allin just to balance it all out.. Fantastic review. Honestly maybe the best I've read on this site (which sounds like hyperbole, but that ain't really saying all that much, now is it, let's be honest). 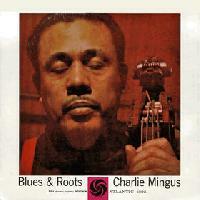 I've been getting into Mingus like mad lately. This album is rad.